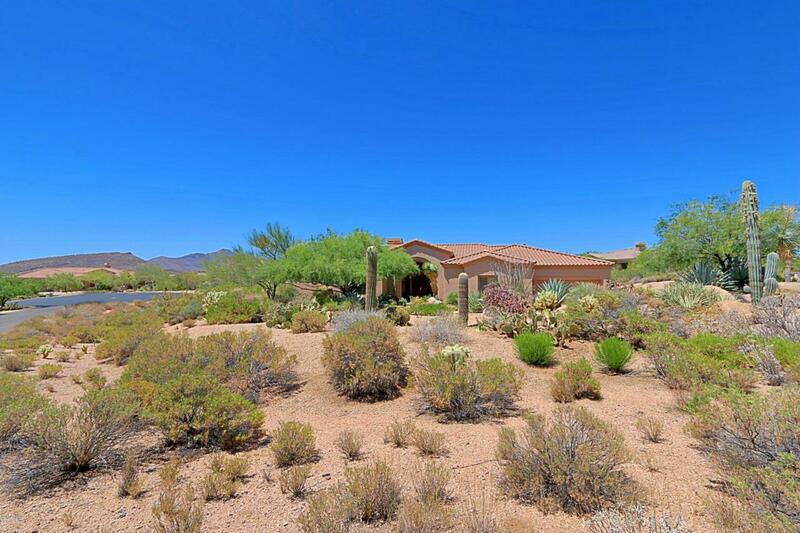 Best value in highly desirable North Scottsdale community of Cresta Norte! Ambiance & tranquility make this the perfect home for quite relaxing by cozy fireplace or entertaining. Upon entering your view is of large family room with a wall of sliding doors to the patio, and beyond to the mountains in the background. Lg paver patio has built-in BBQ, fire pit, spa & bubbling fountain. Home features 3 bedrooms w/split floor plan, master w/giant bath and huge closet. 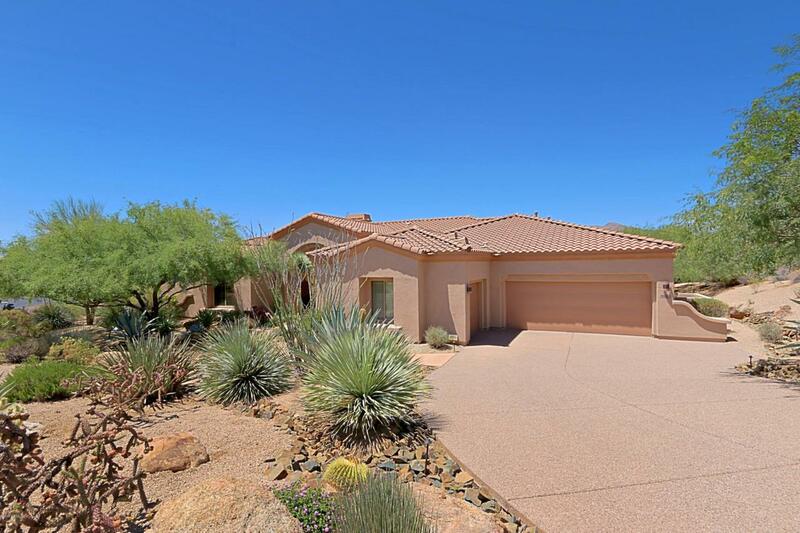 There is a large den,, formal dining rm, Kitchen open to family room boasts granite counter tops and custom cabinetry with huge island, large eat at bar, + table space all w/access right out to backyard patio. 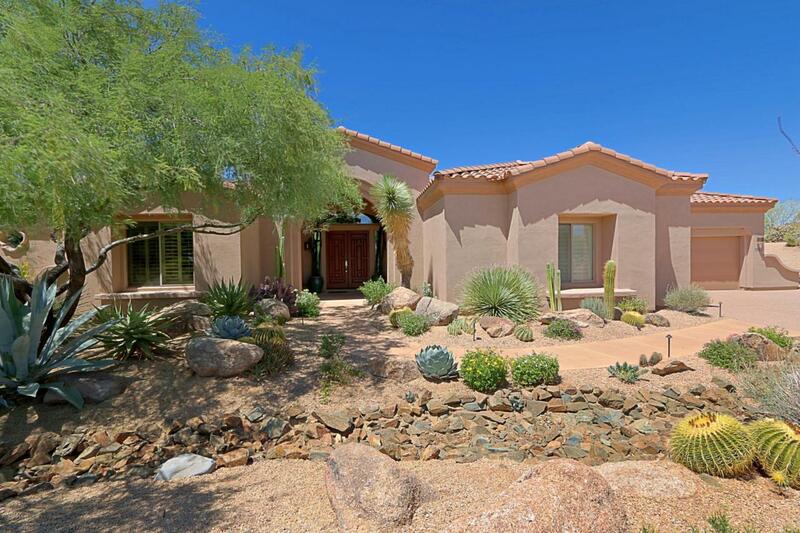 Beautifully landscaped yard with desert plants & lg trees.. 3 car gar. Furniture available under separate bill of sale.